blog home Car Accidents Texts=Wrecks: Could peeking at your phone really destroy a life? Texts=Wrecks: Could peeking at your phone really destroy a life? Distracted driving happens any time a driver takes attention away from driving. It could be glancing at the time, adjusting music or climate controls, or even talking to your passenger. While distracted driving is not new, it has grown exponentially over the past 20 years. Why? The popularity of (or obsession with) cellphones, smartphones, and navigation devices. Some distractions can’t be avoided, like dealing with your kids fighting in the backseat. But when you become distracted, we strongly recommend that you pull over before giving “it” your attention. As personal injury attorneys, we regularly see clients who have been seriously hurt, or even have lost a loved one, due to someone who was driving while distracted. It’s become a heartbreaking epidemic in Eastern Virginia, like everywhere else, and we want to help stop it. That’s why we’re launching our “Texts = Wrecks” campaign in this area. Over the next few months, we’ll look at the causes of distracted driving and how it can hurt drivers, passengers, pedestrians, and other drivers. We’ll also recommend solutions. What are other causes of distracted driving, besides electronic devices? But what most people don’t know is: at 55 miles per hour, taking your eyes off the road for five seconds is like driving the length of a football field with your eyes closed! Who’s most likely to be driving distracted? Around 660,000 people are using their cellphones on the road every second in America. Teens and young adults are the largest group represented in that number. However, while drivers from 16 to 24 are the biggest electronics users while driving, distracted driving is a major problem for all age groups. All distracted driving accidents resulted in 391,000 injuries and 3,477 deaths in 2015 alone, according to the NHTSA, which posts even more horrifying statistics regularly. How did distracted driving affect one woman in Virginia, and what is she doing about it? Fredericksburg resident Christina Dempsey, a 37-year-old paramedic and firefighter at the Marine Corps Base in Quantico, has three good reasons to be passionate about ending distracted driving. A truck driver took his eyes off the road to check directions on his phone and slammed into the back of Dempsey’s sister’s car in 2013. Her sister was killed, along with her sister’s 14-year-old daughter and her fiancé’s 8-year-old daughter. Dempsey is now working with a nonprofit, DRIVE SMART Virginia, to get the Commonwealth’s cellphone laws changed. She is petitioning our General Assembly to pass a law prohibiting the use handheld cellphones while driving — for the fourth year in a row. Unlike many states, Virginia doesn’t have an all-out ban on handheld cellphones while driving. Text messaging behind the wheel is prohibited for all drivers, but only school bus drivers and drivers under 18 can’t use handheld cellphones while operating their motor vehicles at all. “I really want to see this law go through,” Dempsey said. “It may help prevent other families from going through what my family has and continues to go through.” She reminds us that the saddest part of crashes caused by distracted driving is that they are always completely preventable. 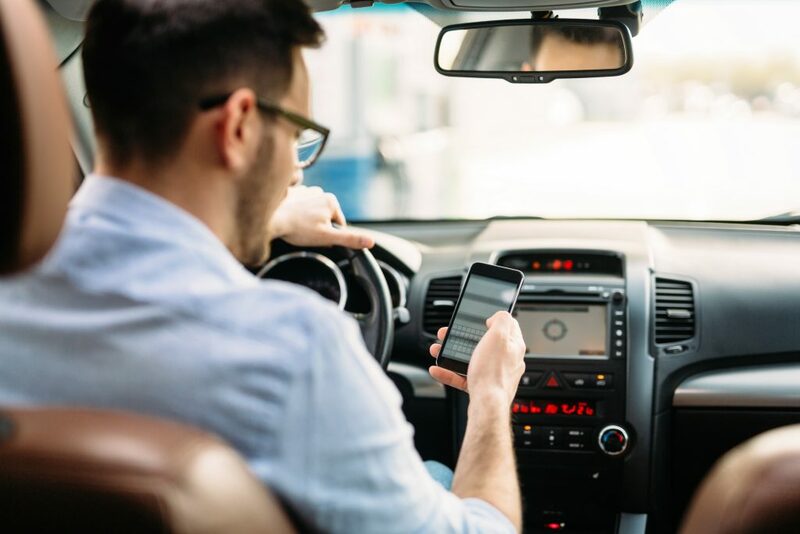 At GibsonSingleton Virginia Injury Attorneys, we urge all Virginians to put down your phones and other devices while driving. We also ask parents of young drivers to have “the talk” about the dangers of distracted driving. And remember that while you or your young driver may be cautious behind the wheel, there’s no guarantee that other drivers will be. So look out for other drivers as well — defensive driving can also save lives. We at GibsonSingleton Virginia Injury Attorneys are working hard to prevent more lives from being lost due to distracted driving. But if you or a loved one are injured by a distracted driver, we urge you to see a doctor immediately. Don’t wait. Then give us a call to find out if you need legal help after a distracted driving crash. We will sit down and talk with you about your best options, and work with the insurance companies involved to get you the compensation you need to recover. For a free meeting, call our office today at (804) 413-6777. We have a no-fee guarantee, meaning we only get paid if we get money for you.